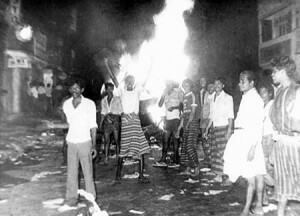 This is the only way to alienate the Tamils from the LTTE activists. Their philosophy, ‘work is worship’ and ‘worship is work’ could be instilled into us. We must show them that the Tamils who were driven out from this land are wholeheartedly welcome to work for the betterment of Mother Sri Lanka.